Daryl Johnson (Worcester Park, United Kingdom) on 2 December 2008 in Documentary & Street. Good capture. it works well in B&W. I love this kind of quotidiene scene. this does very well in B&W. I like it because it's full of interest! Love the motion in this. It adds atmosphere to this market shot. Black market? lol lovely compo, so what did you buy? The principles are the same the world over but the details are different . . interesting shot. That guy looks a little shifty to me. @Twelvebit: Oh dear! Poor bloke! 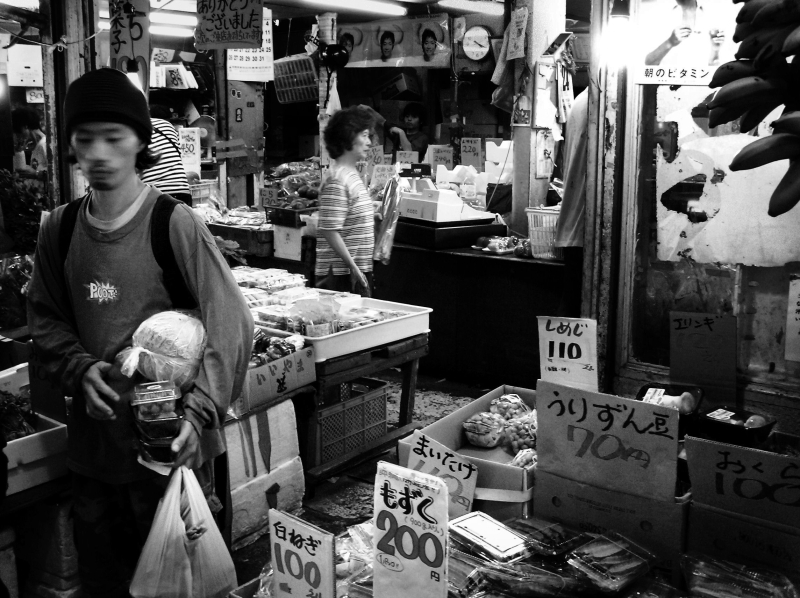 There is an interesting market in Naha, the kind of market that is hard to find anymore on modern Japan... Nice in BW.